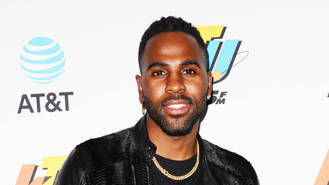 According to editors at TMZ, a member of the singer's team, who have been looking after the property while the Swalla star has been away, noticed something wasn't quite right when they entered his home on Friday afternoon (22Sep17). After realising that someone had broken into the house and removed items belonging to the 28-year-old singer, the police were alerted and launched a full investigation after visiting the scene of the crime. It is reportedly unknown how the burglars got into the house or what was actually taken. Officers are said to be waiting for Jason to return so he can identify which of his belongings have gone missing. Jason has made no mention of the incident on his social media, but confirmed he would be back in Los Angeles on Sunday night to celebrate his birthday at The Argyle in Hollywood. This is the latest in a string of burglaries on celebrities' Los Angeles houses in recent months. In July, Hilary Duff's Beverly Hills apartment was burgled when she was on holiday in Canada with her son Luca. Reports at the time suggested her social media posts, which included several pictures of her enjoying her holiday, may have tipped the criminals off about her empty pad. Comedian David Spade had $80,000 (£61,700) in valuables taken after thieves hauled away the safe from his Beverly Hills home in June, while other recent targets have included Creed star Michael B. Jordan, newlywed Shameless star Emmy Rossum, actress Jaime Pressly, as well as singers Demi Lovato, Alanis Morissette, Drake, Nicki Minaj and reality stars Scott Disick and Kendall Jenner.